Mathematics master George Beach was an excellent chess player who was chairman of the School Chess Club for many years. In 1953, the postal chess team won by a large margin the Junior Postal Chess League, in competition with schools all over Great Britain. 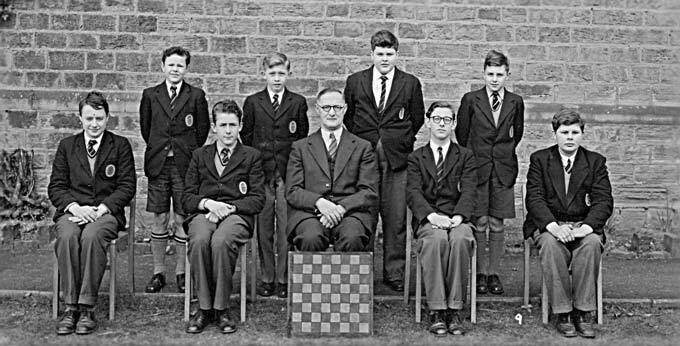 George Beach is shown here with the 1959 Chess Club.